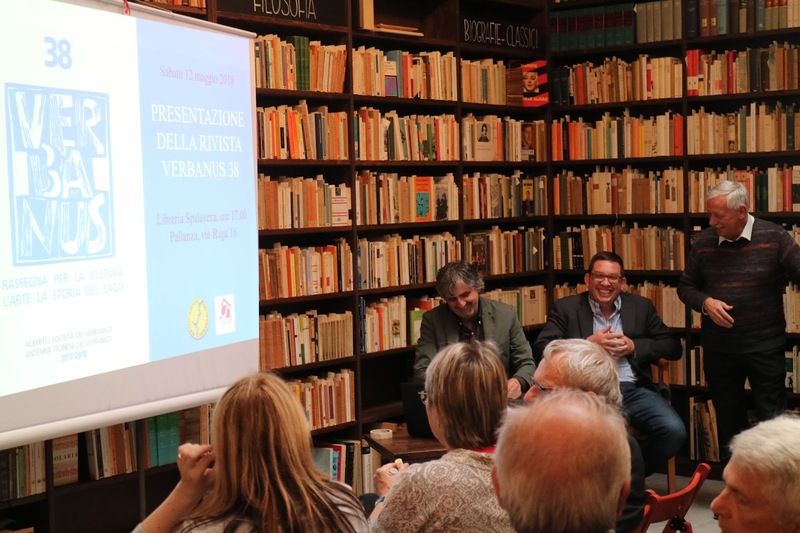 Our presentation on Saturday 12 May 2018, at Spalavera Bookshop in Pallanza, attracted interest of a major regional Italian newspaper. La Stampa Verbania Cusio Ossola presented in its Tuesday edition a long article in Italian that IH has translated in English for our readers. The name of the Nazi soldier who killed captain Beltrami, the hero of the Italian Resistance in the region of Ossola, has been discovered after 70 years. 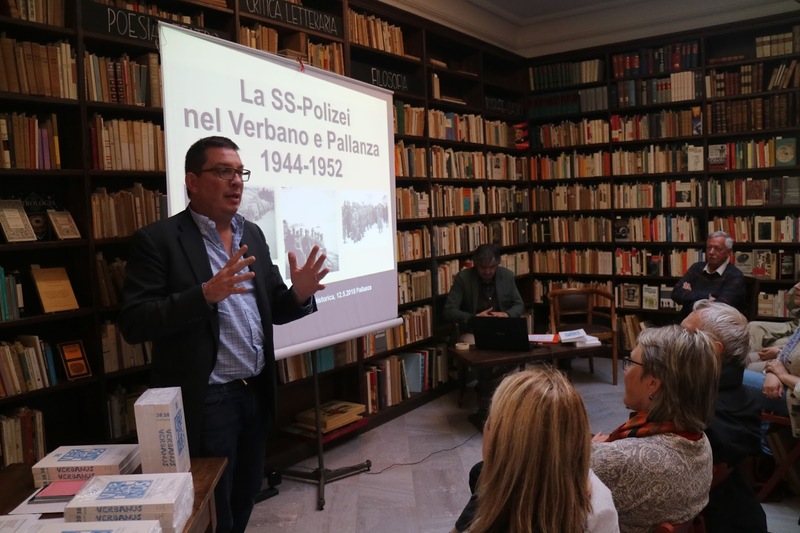 Unpublished facts, based on archive materials related to the SS-Police operating on Lake Maggiore, have become public. Unlike other reprisals committed by Germans during the Italian Resistance, those perpetrated in the regions of Verbania and Ossola have never been prosecuted by the Italian magistrate. In fact, an investigation was opened in 1966, but the Military Court of Torino classified it due to the impossibility to ascertain the precise identity of the responsible people. It seems incredible, but no one (investigators, historians or Italian researchers) has ever thought about viewing the German archives. Instead, Raphael Rues (Swiss national from Ticino, a passionate researcher), has rigorously analysed the primary sources related to the war operations of the SS-Police, the German military body, that conducted activities against the partisans in the regions of Ossola and Lake Maggiore from the end of 1943 till the spring of 1945. The names of all German officers emerged from his research, being strictly codified in the documents and preserved not only in Germany but also in Switzerland and in England. So, after more than twenty years of work, he must be credited for having reconstructed meticulously the events that have remained unpublished until now. In short, it is a real story, not just news. One of his contributions has been included in the latest issue of "Verbanus"; the magazine has been directed by Vittorio Grassi, and his presentation was reported by Leonardo Parachini in the Spalavera bookshop in Pallanza. The work of Raphael Rues will be also presented as a book, published in Italian, German and English, that will be introduced on 21 June 2018 at the Casa della Resistenza in Fondotoce. The documents have confirmed that battalions of the SS-Police intervened in the autumn of 1943 trying to cease the insurrection of Villadossola. In February 1944, Captain Ernst Simon left Varallo for Omegna with the task to eliminate the formation of Filippo Maria Beltrami. The unpublished fact is that the heroic «captain» of the Resistance was killed by soldier Heino Almstädt from Hamburg. Later, Simon left the area to move to Verona organising the convoys that brought Jews to the extermination camps. Moreover - Rues pointed out - these battalions were itinerant across Europe and Italy; they arrived directly from Norway, but the bloodiest massacres took place in Eastern Europe where the victims were much more numerous than those of the regions of Verbania, Cusio and Ossola: the relationship was 1,500 against 1. As for the figures of the SS battalions and losses, the numbers have always been overestimated. For example, it was thought over 200 dead partisans and Germans during the roundup in the Val Grande; in reality, a dozen of casualties could be proved, especially in Miazzina and in the bloody battle in the area of Laurasca. The terrible raid of the Val Grande was directed by two colonels of the SS-Police: Ludwig Buch and Ernst Weiss. The latter celebrated his 50 years birthday on 20 June 1944 in the Villa Caramora, where at the same time 43 partisans where executed massively in nearby Fondotoce. As for Colonel Buch, it has been claimed that he committed a suicide in Novara on 28 April 1945, when the Nazi-Fascist troops surrendered. In reality, Buch died in his bed after the war, as did Weiss who died in 1964 in West Germany, waiting for his trial for the crimes committed against Jews. Other SS officers, who operated in the region, were hired in the post-war period as police officers in Germany. After the re-occupation of Ossola, in October 1944, the SS-Police stopped once in Stresa as it appeared in one of the unpublished photos retrieved by Raphael Rues. They went then to Lake Garda where they were honoured by Benito Mussolini. The epilogue of the war led to the abandonment of the Nazi-Fascist garrisons in the region of Ossola and Lake Maggiore, when the troops merged with the column commanded by captain Ludwig Stamm: there were about 300 men, attacked constantly by the partisans of Vergante. Stamm, like several other German officers, reappeared after the war in Baveno, in the same hotel that Germans had occupied during the war. It was in 1954, and he was immediately recognised by the owner who did not report him to the authorities. The following morning, he resumed his journey to Florence. Stamm died in his bed in Argentina few years later.